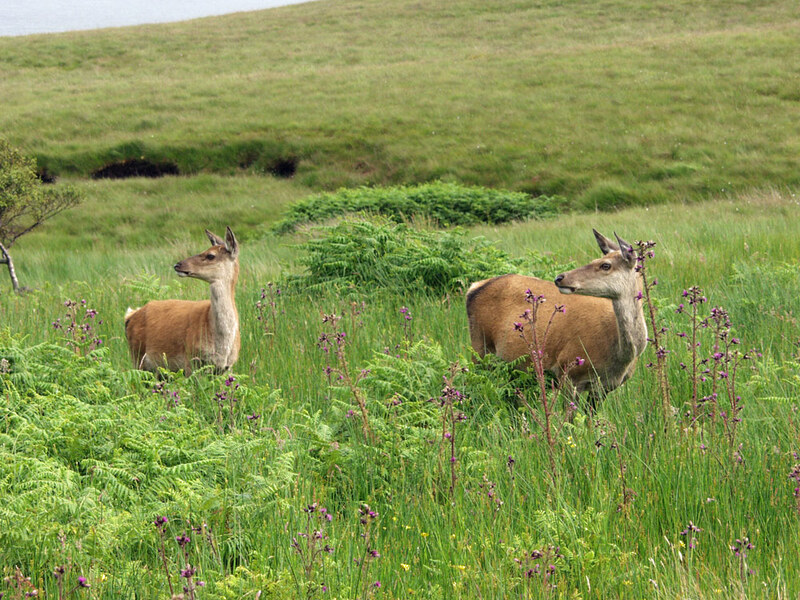 Standing right next to the single track road on Jura, two deer. This entry was posted in Cloudy Weather, Jura Excursion, Landscape, Wildlife and tagged Deer, Jura by Armin Grewe. Bookmark the permalink.